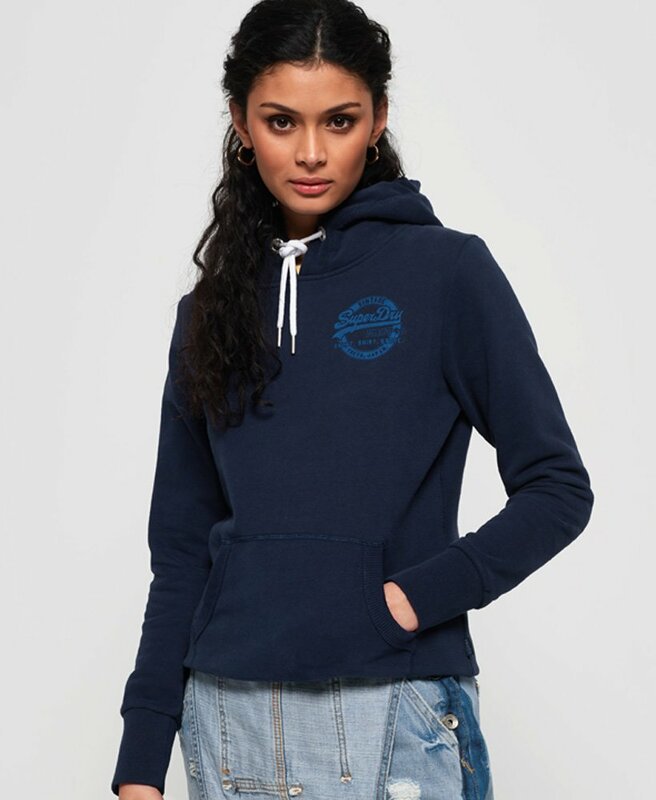 Superdry women’s Vintage logo heritage hoodie. For an easy sweat piece, reach for the Vintage heritage hoodie. This hoodie features a drawstring hood, a Superdry logo on the chest and back, as well as a handy large front pocket. With ribbed trims throughout, this hoodie provides a flattering fit, as well as boasting a soft cotton finish to provide a comfort day, every day. To complete, this hoodie has a Superdry tab on the side seam for a premium finish.